Work for AWS Transfer for SFTP? Learning about AWS Transfer for SFTP? "easy to use for file transfer Tool"
It supports web, API and CLI .Different users can write or use different storage buckets and makes it much more easy to handle tool. It supports almost all types of files including win.exe. it doesn't provide user/password authentication and it doesn't even facilitate to whitelist the IP Address in AWS service. i will recommend the user to use this tool. It helps in end to end uploading and downloading of large volume of data from and to servers much easily compare to other file transfers tools. S3 buckets helped in managing large and confidential data to be transferred with adequate security it has helped us to transfer the data within minimal amount of time. "Flexibility, Best-in-class, User friendly Tool and Industry-leading security Tool"
"Fully managed File transfer service"
Aws provides redundancy across multiple servers and helps in bulk data upload . What I felt as its positive side is that it supports web,API and CLI interfaces that can be configured in the client access. It has made our bulk data transfer from one server to the other much easier . S3 buckets are really useful in uploading and downloading of bulk data easily and process the same immediately once they are uploaded. AWS SFTP is a great tool so you don't have to manage SFTP and servers for manual data transfer. I think I dislike that AWS SFTP is part of the expensive Amazon suite. It's not cheap at all. 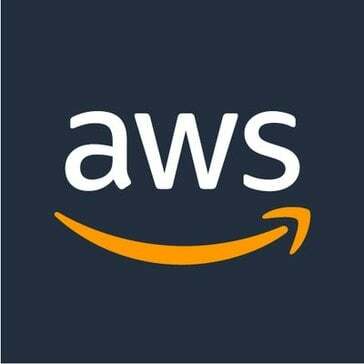 Great product to try if you're on the AWS platform. AWS SFTP allows us to seamlessly transfer files back and forth as necessary without worrying about the technical issues. It takes less time and resources. "Aws transfer for sftp made transfering data more secure and simple"
AWS transfer for sftp helps to exchange data with partners and clients easily and securely. No need to have your own sftp server and storage for exchanging the data and also it manages the Infrastructure and end-point. Also, you can migrate without changing your authentication systems. It does not offer automation, auditing, and monitoring during the data exchange and file transfer. Also, it does not have any additional security feature. Also, don't have any integrated Key or folder-level permission. It helping to exchange the data files and documents with our Vendors and client. "Best for narrow use cases "
Can scale to large users, no set up required. Not being able to set up directory schemes for users. I was able to transfer the sftp server management to cloud with less effort. It allows you to upload quite a few files and exchange data with other organizations. * We monitor all AWS Transfer for SFTP reviews to prevent fraudulent reviews and keep review quality high. We do not post reviews by company employees or direct competitors. Validated reviews require the user to submit a screenshot of the product containing their user ID, in order to verify a user is an actual user of the product. Hi there! Are you looking to implement a solution like AWS Transfer for SFTP?